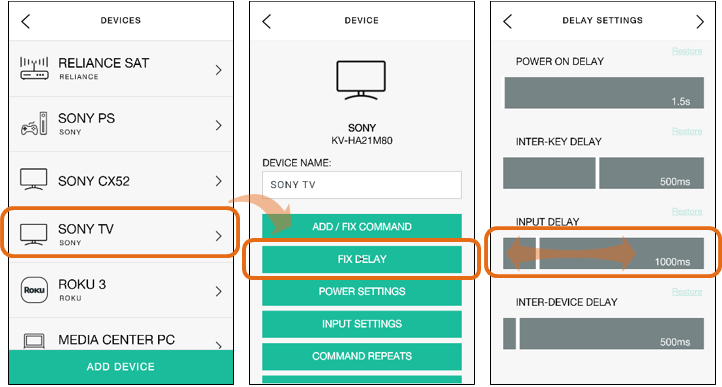 Input delay is the amount of time Harmony waits between sending commands for switching your device's input (or source). 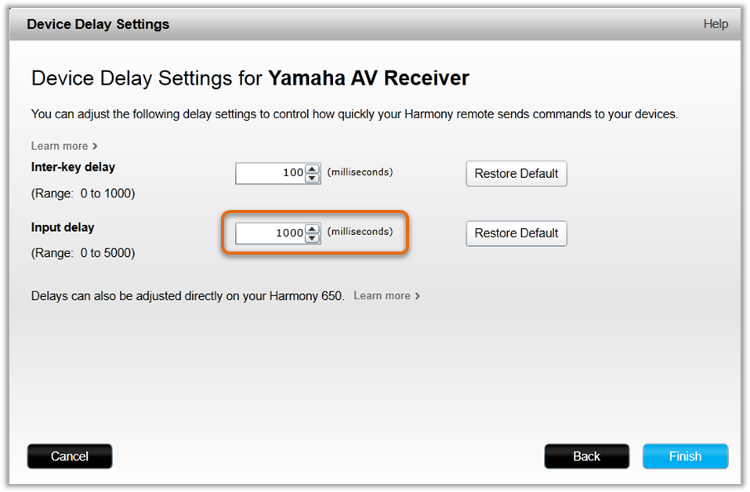 Increasing the value will cause Harmony to wait longer between sending the 'Input' command. 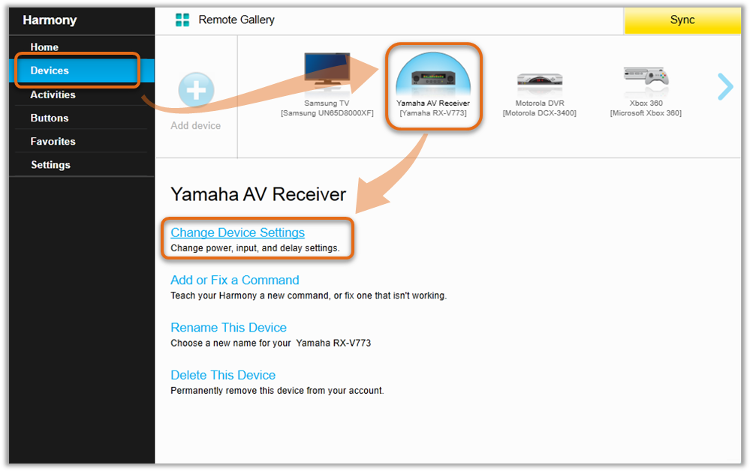 From your Harmony Touch or Ultimate remote, press the Menu icon. Use the slider to adjust the input delay. Adjust the Input delay value. Click on Finish and remember to sync your remote after making any changes. Select the device you'd like to modify, followed by Modify Start Up. Tap Input and adjust the slider to your desired setting.